Okay, so Dancing with Stefanie is the Stefanie show…except it’s not. I want to share the stories of lots of people, espcially those who are in some way touched by dance in their lives. 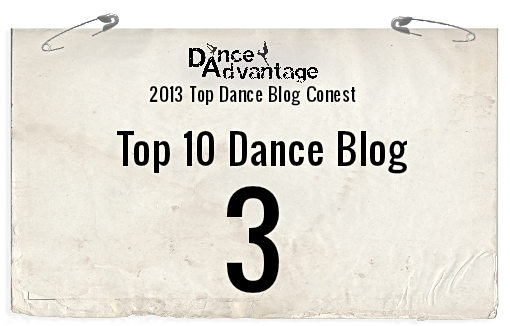 I ask for guest blog posts from anyone I find interesting or whose blog I enjoy, even if it isn’t directly dance related. You see, I find dance is a great metaphor for lots of things that happen in life. Well, a while ago I querried my husband about writing a guest post for my blog. I was interested in his perspective of this whole dancing thing that has engulfed a large part of my life. He obliged. Then I forgot about it…until I checked my email tonight! So….it may have been a slow week for me in terms of actually dancing, but the blog, and life, moves forward like a river flowing. Here is what my hubby wrote. It is pretty cool, if you ask me. 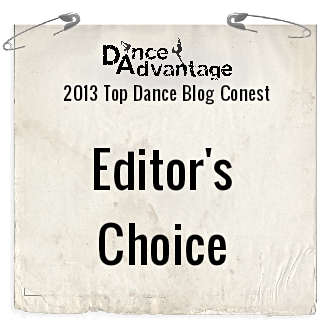 I have obliged to provide my commentary and experience about being the husband of a dancer. It has been an interesting and enlightening experience, to say the least. For me, it was easy to dismiss dancing as some weird but controlled gyration that some consider elegant yet hardly a counted as a “sport.” After engaging in and experiencing some beginner level dancing lessons first-hand, I quickly learned how wrong I was. The motions at that beginner level seemed pretty basic but the challenge of remembering everything was very difficult for me. And, when I looked around the [ball]room at the other dancers during their private lessons, their quick movements and long routines started to make ME sweat! I have a tremendous amount of respect for my Dancing Queen! Stef comes home beaten up worse than some football players with all of the blood, sweat and tears. Yet, she pulls herself together and goes out and does it again, and again, one night after another. It really is amazing. It takes a strong woman with a lot of drive to be a dancer, there is no doubt about it. The conversations we have after her lessons are a whirlwind! The energy levels are at a high and the lingo surrounding everything she learned or improved on is comparable to talking to a chemical engineer at NASA about what it takes to launch a rocket. Some stuff just blows right by me, but that is ok. I still sit there and do my best to decode everything being tossed at me at warp speed. After all, it is more important to listen than to speak. Right ladies? So I tried the lessons and I didn’t get “hooked” like so many other people do. It just wasn’t for me. But, I was able to draw an incredible amount of parallels between dancing and my own passion, golf. The amount and quality of lessons it takes to improve, the amount of practice time you have to put in, the physical movements and physics are very similar as well. It is one of the best ways I can relate to her passion and stay engaged even though I may not know the difference between a Jive and a Rumba. I love being married to a dancer! Stef is a woman with a passion and drive to become great at something beautiful that she can do for her entire life. And I swear I will never call dancing a non-sport ever again. Wow! There you have it from the horse’s mouth. I’m a Dancing Queen and my husband loves it! I’m feeling pretty good about myself tonight. Thanks Ty. Love you. This entry was posted in Dancing and tagged ballroom, ballroom dancer, ballroom dancing, blood, blood sweat tears, dance, dance as sport, dancer, DanceSport, dancing, Dancing Queen, golf, husband, passion, sweat and tears, Tough Mudder. Yes! You are a Dancing Queen! And he is a prince! (Any older single brothers? or how far along are we in cloning?) Seriously, how fantastic to have someone who supports your dream. He doesn’t have to be a dance to understand and relate to your love and passion for it -he feels it from you and is inspired by it. You are a blessed lady! It gives me great pleasure to hear your husband call dancing a sport. I’ve run into too many machismo guys that don’t believe dancing is athletic. And, I think it’s really sweet that your husband supports you in your hobby even if he doesn’t like to dance.